This 40-day season of Lent isn’t one I always acknowledged, much less appreciated. (No shame if that's you, too!) It’s only been recently, as I’ve come to see the beauty and richness that come from intentionality in my faith, that I’ve chosen to focus my attention and energy on engaging fully in this Lenten season. You might first think that Lent is just about giving up junk food or vowing yet again to create healthy habits in your life, but I’ve come to discover a much deeper (and more powerful) purpose behind this weeks leading up to Easter. I invite you to read on, and see if the Lord might be stirring in your own heart as this Lenten season begins. Perhaps these Lenten p will echo the own prayers on your heart, and perhaps this season will be one you come to appreciate in new ways, too. 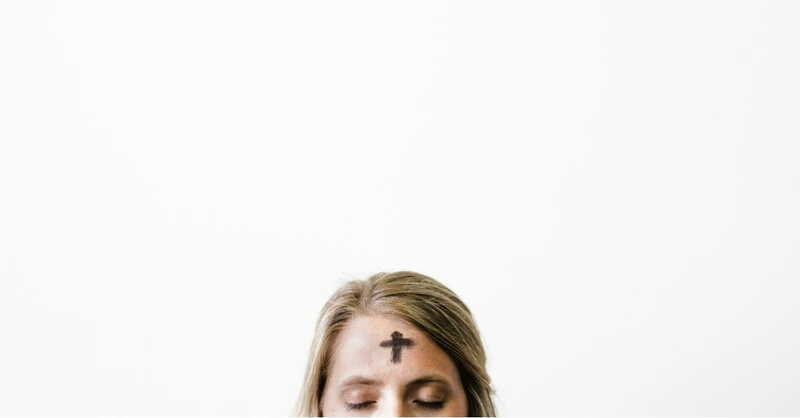 Lord, it can be disheartening to read on Ash Wednesday that all come from dust, and to dust all return (Ecclesiastes 3:20), yet we know that there is more to our stories. We know that you created man and woman from the dust at the very beginning of time (Genesis 2:7) and that you breathed life into them to transform them into living creatures. We know that you are in the business of resurrection-- your very Son went to the cross to show us that no death is final and that ultimate transformation comes through your gift of salvation. Though we were made from dust, and our bodies will return to dust again, we can live in eternal glory with you through the blood of your Son. In this season of Lent we’re reminded of our own difficulties and struggles. Sometimes the way has seemed too dark. Sometimes we feel like our lives have been marked by such grief and pain, we don’t see how our circumstance can ever change. But in the midst of our weakness, we ask that you would be strong on our behalf. Lord, rise up within us, let your Spirit shine out of every broken place we’ve walked through. Allow your power to be manifest through our own weakness, so that others will recognize it is You who is at work on our behalf. We ask that you would trade the ashes of our lives for the beauty of your Presence. Trade our mourning and grief for the oil of joy and gladness from your Spirit. Trade our despair for hope and praise. We choose to give you thanks today and believe that this season of darkness will fade away. Thank you that you are with us in whatever we face, and that you are greater than this trial. We know and recognize that you are Sovereign, we thank you for the victory that is ours because of Christ Jesus, and we are confident that you have good still in store for our future. We thank you that you are at work right now, trading our ashes for greater beauty. We praise you, for you make all things new.